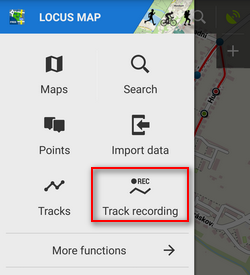 Recording tracks in Locus Map is one of the core functions. 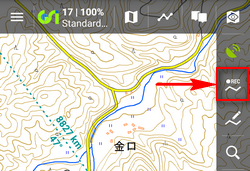 Technically it is continuous saving of a chain of trackpoints - places that are marked by unique GPS coordinates - which are sort of breadcrumbs that user leaves behind when moving. 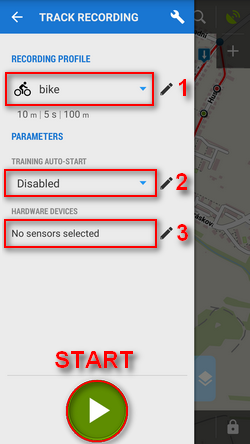 The density of trackpoints/breadcrumbs can be pre-defined in recording profiles and varies according to used activity - walk, run, biking or driving by car. The faster is the activity, the less dense are trackpoints and the longer is the supposed traveled distance. 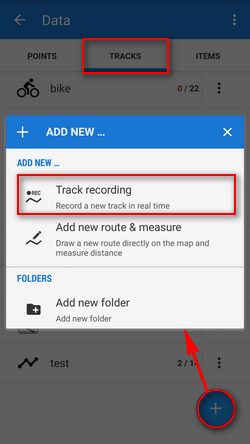 Tracks recordings are saved, stored in folder, can be sorted, filtered or edited later as can be seen in Track Management chapter >>. The track can be turned into a route to navigate you or just guide along its line. set the track-recording button in the Function panel for quick launch - recommended! tap Start button at the bottom - track recording begins. The recording-start panel changes into recording-control panel. 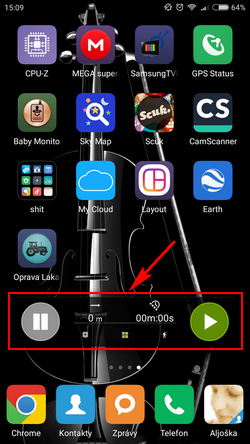 Track recording activity is visible also in your system notification bar. 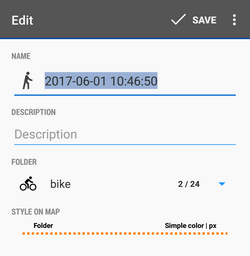 enter track name or leave the time stamp - select folder to save the track to or make a new one, set the track line color and width if you want to differ it from the default folder setting and tap Save. If you want to discard the recording, choose delete from the topbar menu.